Another article I have picked up from Filipinas Herald, June 4, 2009 issue, page 5 under Johnny Midnight Column’s Midnight Collection. It was title: Dietary myth: Milk is good for you! Well, I can’t post here the entire article and I will just sum it up. Scientific studies shows that cow’s milk is not good for Asians. Although must people say (especially Western people) that milk is good for us, it is not true to Asians. We are just genetically different. Any kind of animal milk is not good for Asians because we lack an important enzyme – lactase. If you force an Asian who lacks lactase to drink cow’s milk, he will certainly get sick. He gets stomach pains and spasms, nausea, vomiting and diarrhea. Etc, etc. I am not much of the milk though. Before, I though I should drink more, but after I’ve read this one, no not anymore. Maybe I’ll just drink more orange juice or water or whatever, but not milk. This entry was posted in Food and tagged Food, health, milk is not good, milk not good, milk not good for asians. Bookmark the permalink. 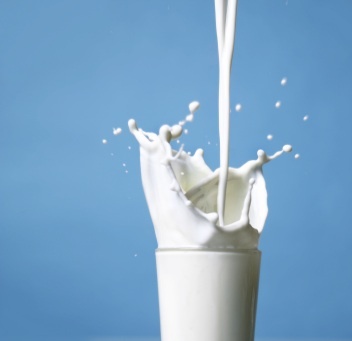 4 Responses to Milk is good for you! Not for me! It really depends on the physical makeup of a person. There are those who drink without problems and those who are lactose intolerant. Cats, however, are lactose intolerant. Never ever give them cows milk! Lol! My sister usually gives milk to our cat. Hmm…..
naalala ko ang lola ko na masyadong fanatic ni johnny midnight…nong bata pa ako tuwing magbabakasyon kami sa kanya eh ginigising kami ng madaling araw para makinig dyan..ahahaha yung bulaklak..ang bango ng bulaklak pa ang kanta!